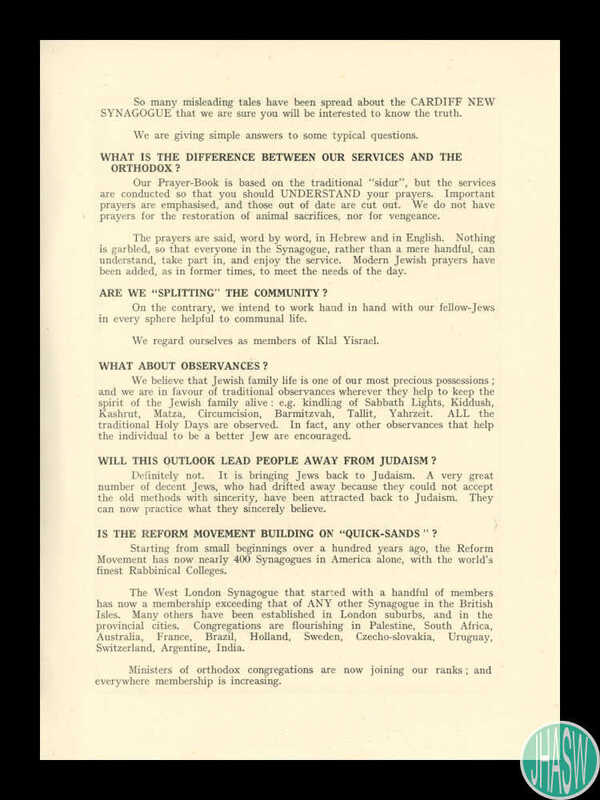 This undated leaflet issued by the Cardiff New Synagogue seeks to clarify the relationship of Reform Judaism in relation to other Jewish denominations, especially Orthodox Judaism. 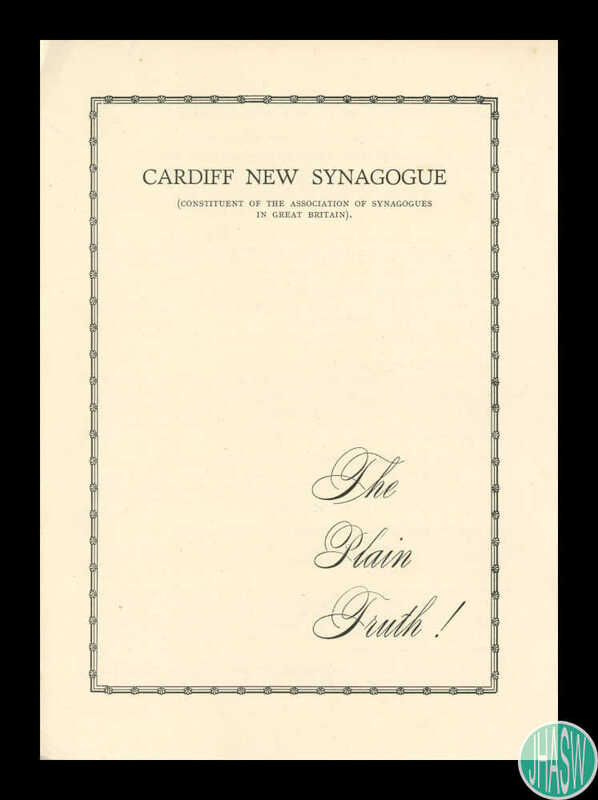 The leaflet mentions the plans of the Cardiff New Synagogue to acquire a permanent place for worship, which they did in 1952. When the leaflet was written, the congregation worshipped at the Temple of Peace. The Cardiff Reform Synagogue was founded in 1948 as the Cardiff New Synagogue. 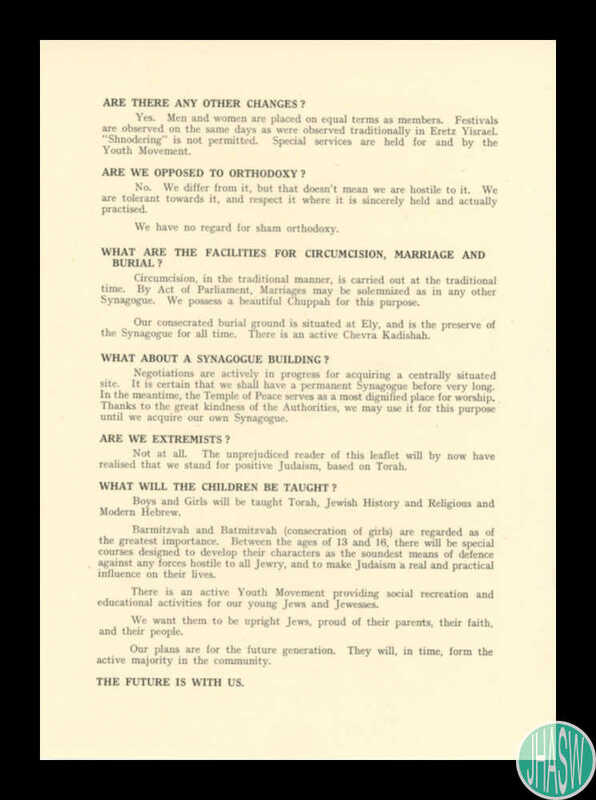 The following year, it became a constituent member of the Movement for Reform Judaism. Born in reaction against the more restrictive traditions of the Orthodox Judaism of the Cardiff Hebrew Congregation, such as the prohibition of driving on the Sabbath and the ban on interfaith marriages, the new Synagogue appealed to the immigrants who had fled the war-torn Europe, where the Reform movement was already well-established. The congregation worships in a converted Methodist Chapel on Moira Terrace they acquired in 1952. 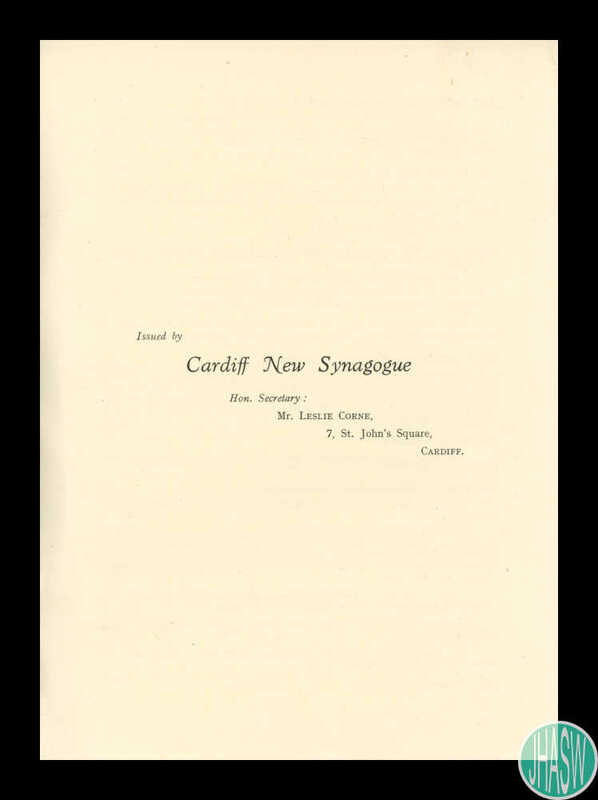 Sources: 'The History of the Jewish Diaspora in Wales' by Cai Parry-Jones (http://e.bangor.ac.uk/4987); JCR-UK/JewishGen (https://www.jewishgen.org/jcr-uk/Community/card1/index.htm). Depository: Glamorgan Archives.